Goodyear Therapist: Jenny Baumgardner - Therapist 85395. Send A Message To Dr. Baumgardner. 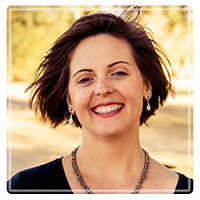 Dr. Jenny Baumgardner holds both a PhD in Developmental Psychology and a PhD in Clinical Psychology. She has cultivated a wealth of experience in working with children, adolescents, and adults. Dr. Baumgardner has held faculty appointments at the Baylor College of Medicine, Texas Children's Hospital, and the Menninger Hospital and Clinic in Houston, Texas. During her tenure at the Menninger Clinic and Hospital, she was the Clinical and Developmental Psychologist in the Adolescent Treatment Program, working with teens with serious mental illness, including eating disorders, severe mood and anxiety disorders, as well as those with psychotic issues. Most recently, she joins our practice from the Children's Rehabilitative Services at St. Joseph's Hospital in Phoenix, Arizona where she has been working with children who have serious medical concerns. She has worked extensively with young children, providing developmental assessments as well as therapy and parent coaching. Her psychological assessment, diagnostic and evaluation skills are outstanding. Dr. Baumgardner also has extensive experience working with Executives and Professionals in Crisis. Finally, she is well versed in evidenced based therapies for families and couples. Dr. Baumgardner is internationally known for her work in Attachment issues and is the only trainer in North America on the Child Attachment Inventory.